Integrate your apps to interact with scrapers and data. Easily deploy from Github or any other Git repository. Easily develop & maintain scrapers in Ruby language. Basic Ebay scraper that loops through the results page and details page. A great script to start building your ebay scraper on. # save the product info to outputs. No need to worry about IP bans, we auto rotate IPs on any requests that are made. Avoid fingerprinting of your scraper requests by our auto-randomization of user agents. 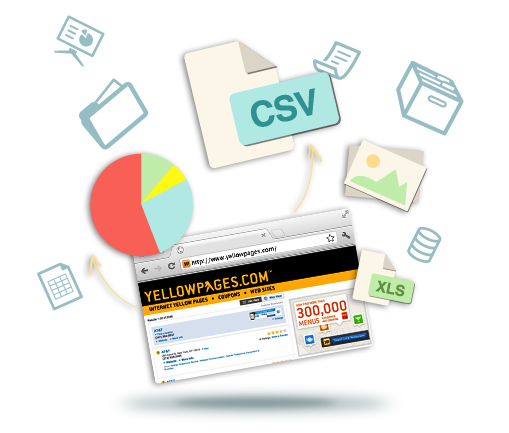 Speedup scraping time and lower costs by scraping from our shared cache of web pages. Use your favorite rubygems that can easily help you scrape better. Whether you want to scrape multiple websites at once, or scrape one site faster, we can handle it. Use CRON's powerful scheduling syntax to schedule your scraper to run on your specified time. Easily export to JSON, CSV, or other formats. "I'd rather run my scraper here, than build my own infrastructure." Fetch allows the flexibility of allocating parallel workers to your scrapers. The more workers you purchase, the more faster your scrapers go. Workers are priced per hour the scraper runs. *Approximate. Result varies depending on how performant the target server is, etc. ** Workers are priced per hour. You can start and stop the scraper at any time, and we will total it and rounded to the nearest hour. We offer everything needed to run web scrapers at scale. Get in touch for details.